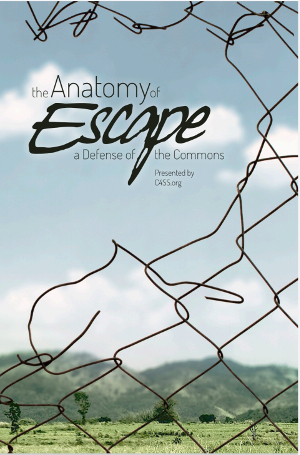 This the fourth in a series of essays originally written by Carlos Clemente as assignments for an introductory course to market anarchism that he took at C4SS’s Stateless University. For the fifth essay, click here. For the third, here. But the contradiction that market anarchists see in Chomsky’s statement has more to do with economics than language. 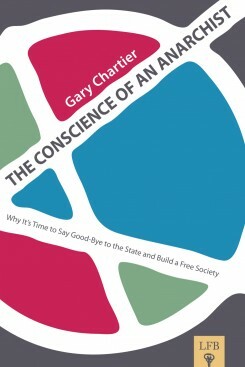 Despite his own research systematically showing that the state has been the chief enabler of concentration of private power throughout history, Chomsky is of the view that before doing away with it, we the people ought to somehow reform the state to make it truly further our interests, and thus use its power as a bulwark against that of the corporate elite. But the market anarchist is adamant on the impossibility of reforming the state due to its fundamental incentive structure, of which taxes are a crucial element. 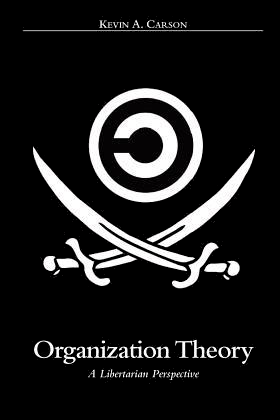 The members of any organization able to forcibly extract resources from the people whose interests it is supposed to serve, have a strong incentive to use those resources for their own benefit, for the people simply cannot choose to stop giving their resources to them. Furthermore, democracy doesn’t quite solve the problem: People can only vote their representatives out of office at multi-year intervals, and only if they convince 51% of their neighbors to do likewise. The possibility of sharing the resources forcibly extracted from the people with large private corporations, gives politicians the capacity to offer them the equivalent of a captive customer base in exchange for campaign contributions, revolving doors, and all the goodies involved in the perverse symbiosis that Chomsky has so rightly denounced over the years. 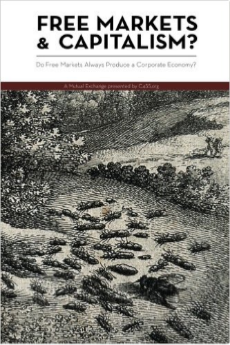 The economic argument against taxation put forward by market anarchists is also squarely at odds with that held by most mainstream economists, according to which taxes are a necessary evil that people agree to submit themselves to in order to overcome the free-rider problem inherent in the provision of public goods. 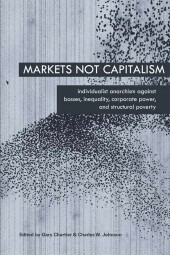 A fundamental tenet of the market anarchist movement is their massive body of research in support of the view that the free-rider problem can either be overcome by voluntary, rather than coercive, collective action; or that the problems for competitive private provision of public goods arise themselves from governmental intervention, rather than market failure. But the relationship of market anarchists to the problem of taxation is somewhat more complicated than simply pushing unconditionally for their elimination under any circumstance. Market anarchists don’t buy the argument behind a reduction of taxes à la Dubbya and Neocon company. If they would have had to fund their imperialist wars of aggression and corporate welfare with taxes instead of debt, the immediate financial pain would perhaps have spurred people into a popular revolt against the regime. Or at least they would have been much less easily persuaded by WMD baloney. Or, to use an example from a regime that supposedly is at the opposite extreme of the ideological spectrum, market anarchists would perhaps prefer the Venezuelan state to be funded by run-of-the-mill tax revenue rather than by the profits from its oil monopoly. That perhaps would give people a stronger incentive to demand minimal transparency and accountability from Hugo Chavez’s regime, who currently relies on not one, but ten para-fiscal funds to spend as much as it pleases, on whatever it pleases, in favor of whomever it pleases – without reporting absolutely anything to anyone. The strategic priorities of principled libertarians should be just the opposite: first to dismantle the fundamental, structural forms of state intervention, whose primary effect is to enable exploitation, and only then to dismantle the secondary, ameliorative forms of intervention that serve to make life bearable for the average person living under a system of state-enabled exploitation. As blogger Jim Henley put it, remove the shackles before the crutches. In this sense, a proposal to distribute oil revenue among the Venezuelan poor in a more transparent and efficient way, through a conditional cash transfer scheme similar to Brazil’s Bolsa Familia, would probably resonate with the market anarchist as a necessary palliative, at least until the fundamental forms of state intervention that are the root causes of poverty are dismantled. Spanish, “Es complicado”, o la relación del anarquismo de mercado con los impuestos.